The current international refugee crisis has been described as the worst since WW II, a crisis that has rendered an estimated 21 million people homeless. The wars and terrorist related attacks that have become commonplace all across the world today have affected every country on the planet. Germany and France have had recent media attention for their serious refugee problems. German Chancellor Angela Merkel has become increasingly unpopular because of her decision to accept immigrants and refugees from war-torn countries. The German immigration policy on a humanitarian level is laudable. In reality however, its implementation has caused as much harm as the intended good. Between New Year's Eve in 2015 & July 2016, there were incidents of civil unrest in some parts of Germany. 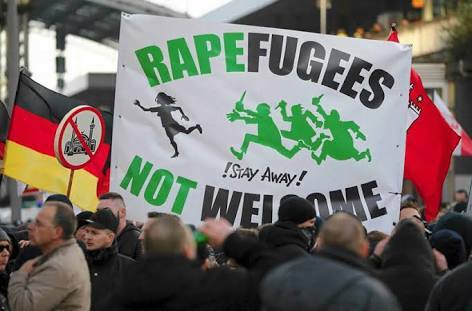 The disagreement between opposing groups on both sides of the refugee immigrant conversation escalated into violent clashes, worsened by a number of refugee linked crimes including mass sexual assaults and attacks on German citizens. Public safety was severely threatened by at least 4 ISIL linked acts of terror. The slow response of government in addressing this crisis and the vehement extremist rhetoric caused citizens to arm themselves and take action to protect their families, homes and businesses. France has had to accept a growing community of refugees in Calais, Northern France. 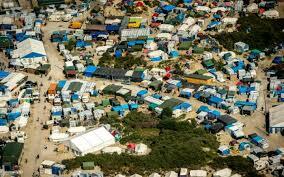 This has caused friction along the nearby border with England as refugees have tried entering the UK to escape squalid living conditions in the French refugee encampment. Africa is not left out; in Nigeria alone, the United Nations International Children's Emergency Fund (UNICEF) estimates that 2.2 million people have been uprooted from their homes by the actions of Boko Haram terrorists and the ensuing armed reaction by the Federal Government against the sect. Citizens were forced from their homes and in response, humanitarian organizations and religious bodies swung into action; opening up makeshift refugee camps in various parts of the country to house persons displaced from the North East. Homes and lives have been destroyed and families torn apart by the crisis -the Chibok abduction on April 29, 2014 readily jumps to mind. In my opinion the only good that has come out of the Chibok abduction is the global aid and attention that shifted to Nigeria. UNICEF launched an initial appeal for $55 million in humanitarian aid, a figure that has been increased to $115 million. Unfortunately, there has been little to no actual accountability in the process of distributing humanitarian aid to IDPs and increased reports of camp administrators diverting relief materials and leaving the intended recipients to suffer. I was recently in Yola and heard directly from some of those distributing humanitarian aid to the camps. Unfortunately, the Christian / Muslim divide contributes greatly to this unfair treatment that they have witnessed. It was horrifying to hear of the starvation and atrocities that the Christians, in particular are facing. The tragic incident on the Maiduguri/Jos-Kano road in Borno on August, 25, 2016 resulted from the displaced persons crying out for fair treatment and adequate aid. IDPs frustrated at the lack of concern shown for their plight took to the highway in protest. The protest was suspended after efforts were made by the Borno State government to appease the IDPs. The repercussions of this action do not seem to have been felt just yet. The refugee crisis is a global phenomenon. Countries are learning from one another's successes and failures. The immigration crisis in Germany has taught one key lesson: private individuals and indeed the private sector suffer directly when hunger and desperation is allowed to run rampant. The private sector will be best served by making a concerted effort towards catering for IDPs in the community in spite of (and maybe because of) the failure of other agencies. While the private sector is not to blame for the plight of IDPs, the refugee crisis in Germany has shown that this sector will be most immediately affected if a breakdown of law and order occurs in any of these camps. There have been frightening reports of various kinds of abuse in some camps across Nigeria. The fear is that these cases could spill into the sort of violence witnessed in France and Germany. If compassion will not drive us to do something, then let us be driven by self preservation. The essence of this article is to offer a ray of hope. We can do our part by donating surplus food, clothing, educational supplies and other sundry relief items to camps. We can go one step further by regularly visiting the camps to ensure that donated materials are received by the IDPs and that those residing there know that they haven't been abandoned. 35For I was hungry, and you fed me. I was thirsty, and you gave me a drink. 6I was naked, and you gave me clothing. 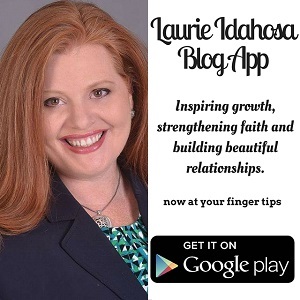 38Or a stranger and show you hospitality? Jesus understood that meeting the needs of the less privileged helps society at large. He went among the people and caused a societal impact. I challenge you to do the same. If you can't physically go, you can support those who are able to. Over the past 2 years, I have been able to raise thousands of dollars in humanitarian aid for the camps and mobilize hundreds of volunteers to help in various ways including free medical treatment, education, building infrastructure and in other ways. As you join arms in reaching out, I urge you to link with me in demanding accountability from IDP camp authorities. The peace and stability of our communities rests on this.